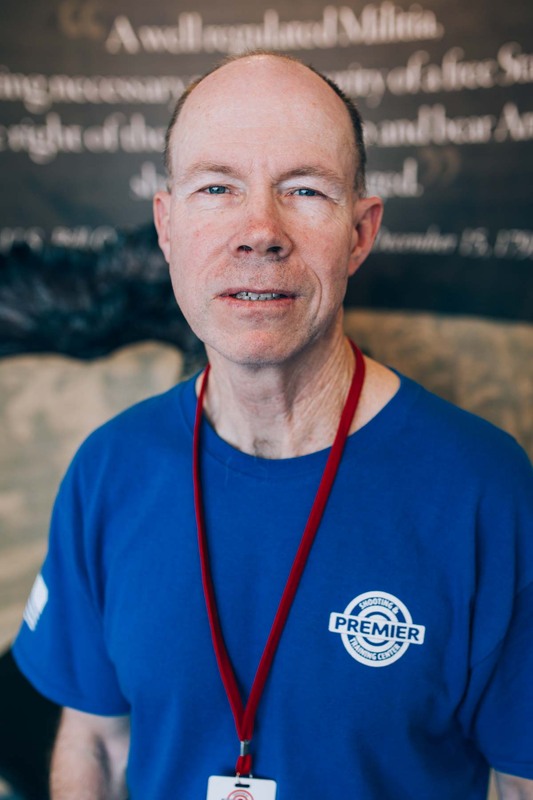 At Premier Shooting and Training, we strive to provide our clients, members, and visitors with a truly unique experience. We host events, as well as specials like Ladies Night Out, and stay up to date on the latest information in the world of shooting and training. 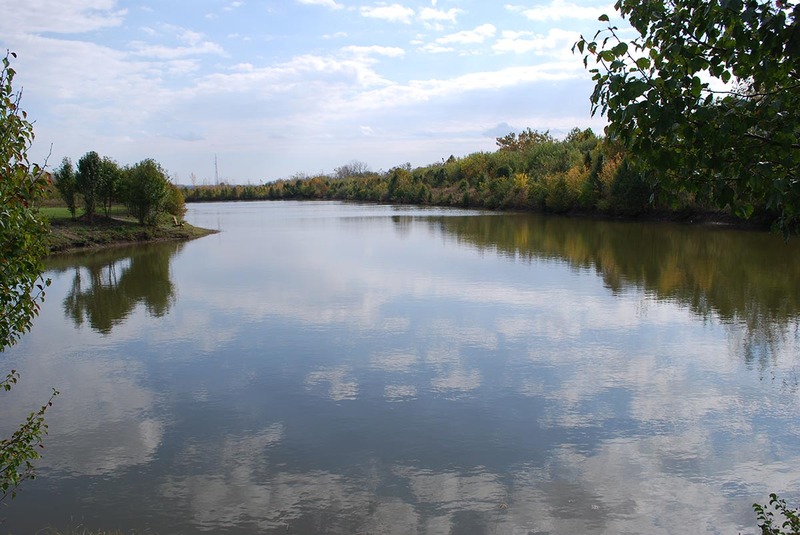 With a location in the heart of West Chester’s growing recreational area, Premier Shooting & Training Center offers the area’s finest facility. Our facility includes gun ranges, combined with unsurpassed classes in Martial Arts, Self Defense Classes, Concealed Carry / CCW Classes, armed protection, retail, and memberships. No other facility in the Cincinnati area brings this winning combination under one roof. 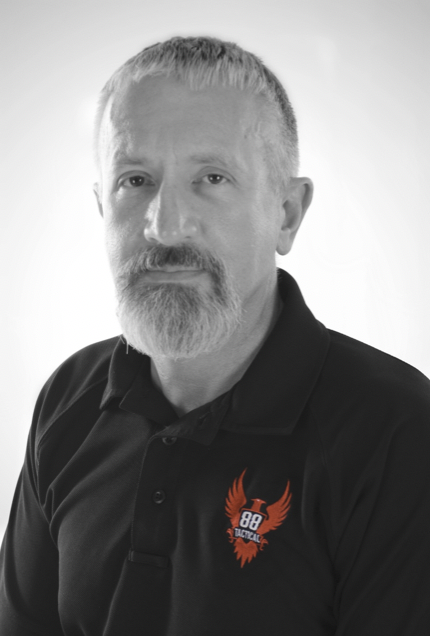 Jim has over 20 years of experience in martial arts, self-defense and personal training in addition to private investigative and security fields. Jim is a certified NRA Instructor. Jim has attended and is certified in numerous specialty schools, only a few listed below: NRA Certified Firearms Instructor – CCW (Conceal Carry Weapons) Instructor Kenpo Jiu Jitsu Instructor 2nd Degree Black Belt (Nidan) Shootfighting Instructor (Kiha-Go) Hojutsu 1st degree Black Belt (Shodan) Lecturer for Women’s Self Defense Programs Extensive Wrestling and Military Combatives Knowledge Jim served 6 years in the U.S Marine Corps Reserve as a Military Policeman. He attended the University of Cincinnati majoring in criminal justice. Detail oriented, that says it all about Hannah, she has a keen attention to detail and is highly organized. When you come in to the range, her smile might be the first things you see! The position of ATF Compliance Officer performs administrative duties related to compliance of federal, state, and local firearm rules and regulations; as well as ensures adherence to Premier’s related policies and procedures. Hannah performs duties such as data entry, error resolution and other duties ensuring total compliance with all ATF regulations. All firearm acquisitions are completed within a structured time frame and follow ATF standards with accuracy and efficiency. The accurate and timely disposition of all firearm sales, holds, layaways, repairs etc. That all 4473s are proof read for errors prior to filing and relay error information through the proper channels. That resolution is attempted with customers in the event there is an outstanding error on any related ATF forms by following detailed ATF F 4473 Error Correction Process. Responsibility for maintaining backup log of multiple handgun sales, maintain completion and filing of all department paperwork and responsible for maintaining BATFE log books as required for repairs and consignment firearms. She documents and up-dates all policies, procedures, and training materials for the company. Additionally, she monitors the new hire training plan to ensure the new trainee has the tools necessary to be a valuable part of Premier’s staff and provide the excellent customer service Premier strives for. So, if you’re new to Premier’s team, you’ll be spending lots of time with her! 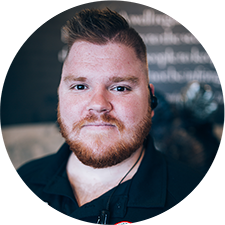 Jeremy’s military background includes 5 years in the Unites State Marine Corps as an Infantry Squad Leader and Combat Marksmanship Trainer. 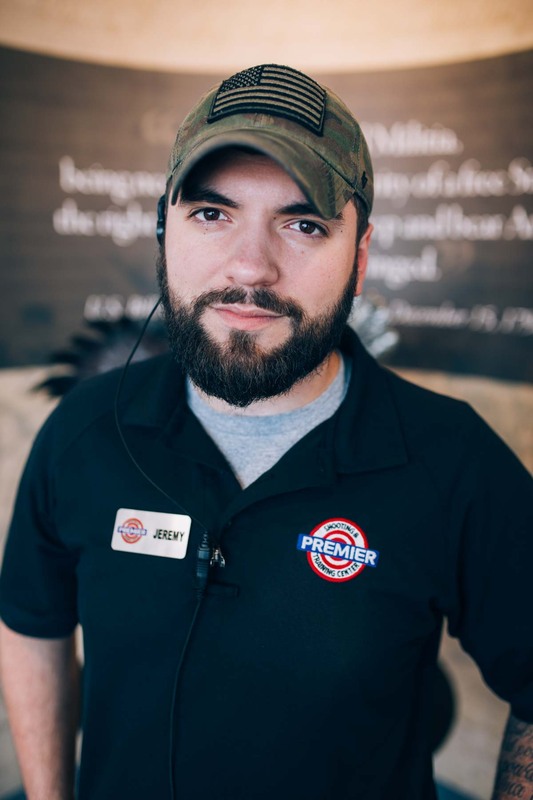 Bringing his vast knowledge of firearms and leadership abilities to Premier in 2016, Jeremy started as a retail sale associate. He rapidly progressed to Range Safety Officer, Shift Lead and now heads up the entire retail floor. 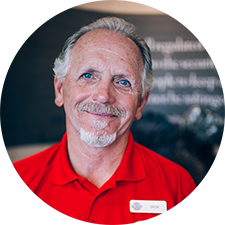 Jeremy was instrumental in bringing up our new On-Line shopping experience GearFire. He has some big plans for Premier and looks forward to moving us into the next phase of our growth. Jeremy is very family oriented and enjoys the fact that Premier is family owned and operated, he is proud to be part of the Premier family. 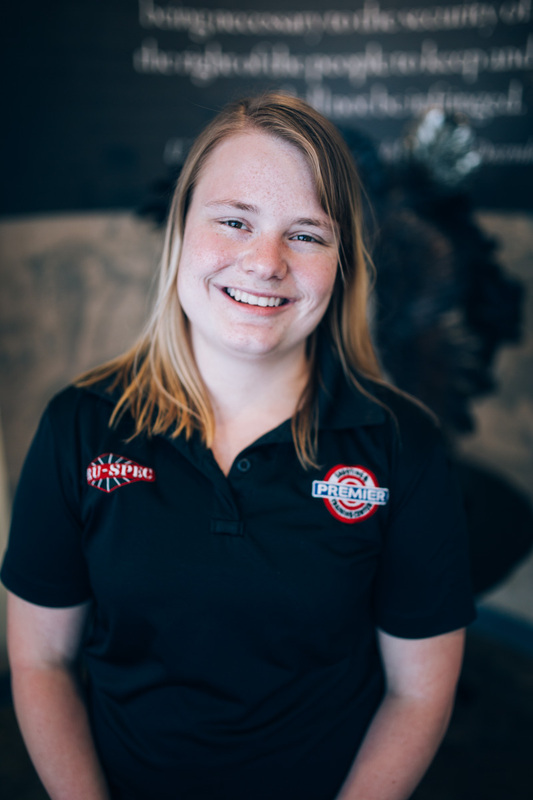 With her creative bent of mind, eye for detail, passion and enthusiasm Kellie is the perfect person to coordinate any type of event. A people person, everyone loves Kellie’s smile and can-do personality. 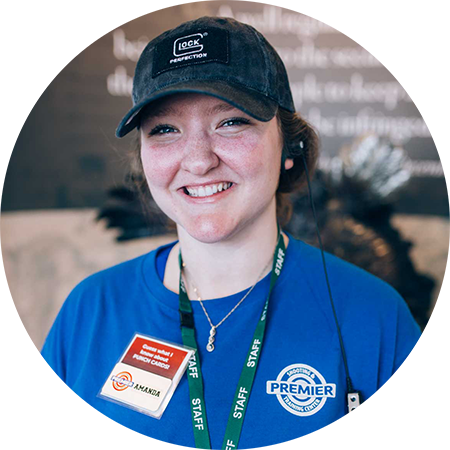 Kellie started with Premier on opening day as a retail associate and quickly rose to management level. 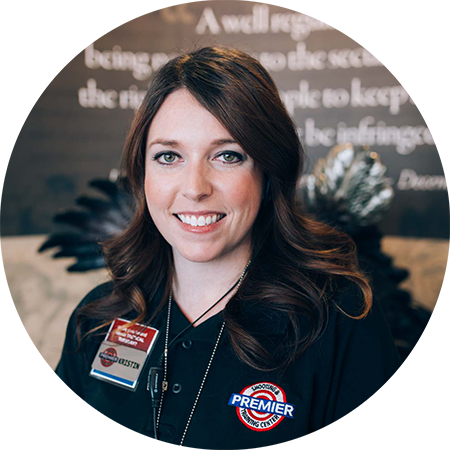 Kellie has extensive retail knowledge and participates in all Premier has to offer, she enjoys the shooting sports, her son is in our Marital Arts program, the entire family, grand parents included, fish and use the outdoor area. 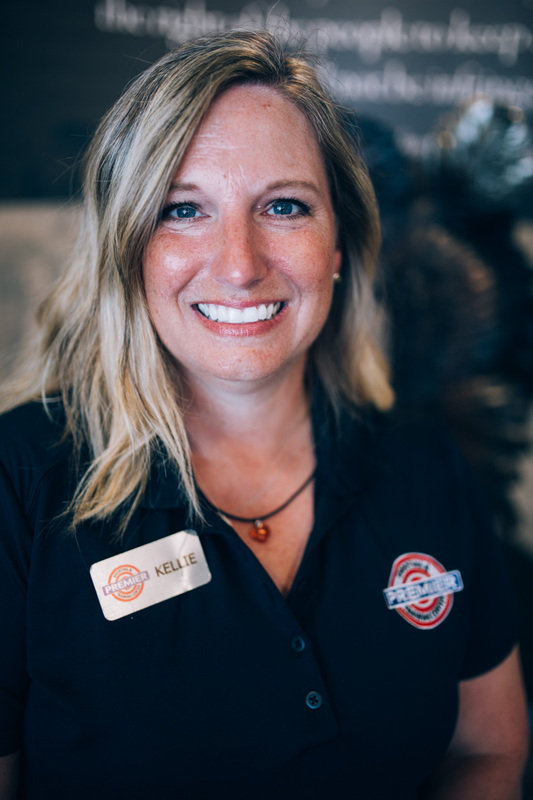 When Kellie plans your event, she triple checks every detail, has an alternative plan B C & D, your event is sure to be a success when Kellie is your coordinator. Our members are very important to us so Kellie as member liaison keeps her finger on the pulse of what our members enjoy about Premier and how we can improve our facility and services. Chief Armorer at Premier Shooting and Training Center Certified Armorer on Beretta & Glock handguns, Heckler & Koch Inc. rifles (M14-M16 rifle series) 1977 United States Army Paratrooper in the 82nd Airborne Division 1982 Houston, Texas Police Officer 1987 Re-Enlistment in the United States Army Special Forces, Special Operations Weapons Sergeant serving with the 10th Special Forces Group (Airborne) in Ft. Devens, Massachusetts and Stuttgardt, Germany 1994-1998 Light Weapons Instructor at the JFK Special Warfare Training Group. Nate’s deployments include the Persian Gulf War (Kuwait), Sierra Leonne and Africa as an advisor. Mike grew up in rural Indiana. After his schoolin’ he ran off to join the circus. Unable to find a circus in Indiana, he joined the Army Infantry. Next up was 16 years with an International Private Security Company, where he managed logistics of operations. 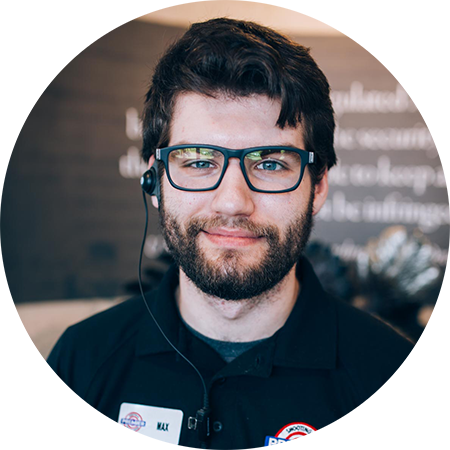 Mike finally found his home here at Premier in January of 2018, as the Inventory Controller. There was much rejoicing. 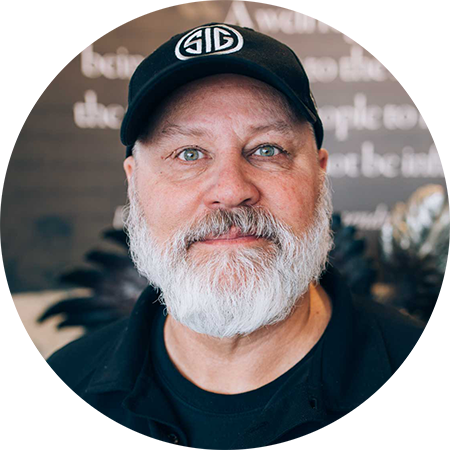 Jim has 28 years of experience in Military and Law Enforcement with a diverse background in Communications, Patrol Operations, Tactical Operations and Training. 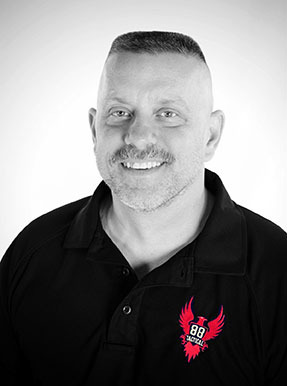 He has served as an Instructor certified in Firearms Defensive Tactics/Combatives, SWAT, Active Threat, High Threat CQB, High Threat Vehicle Engagement and Shoot House Instructor. 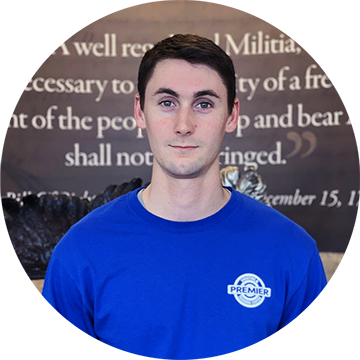 Jim is currently a staff member with the Ohio Tactical Officers Association. 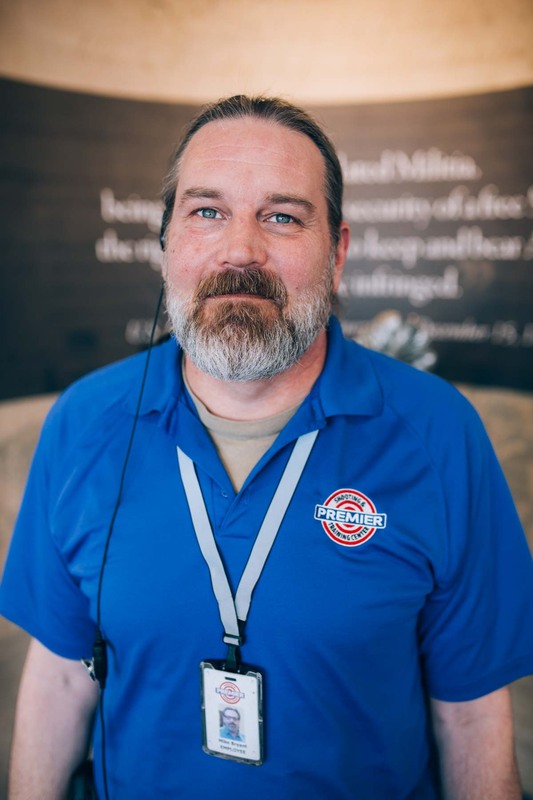 Jim has served as Adjunct Instructor with the Ohio Peace Officer Training Academy. 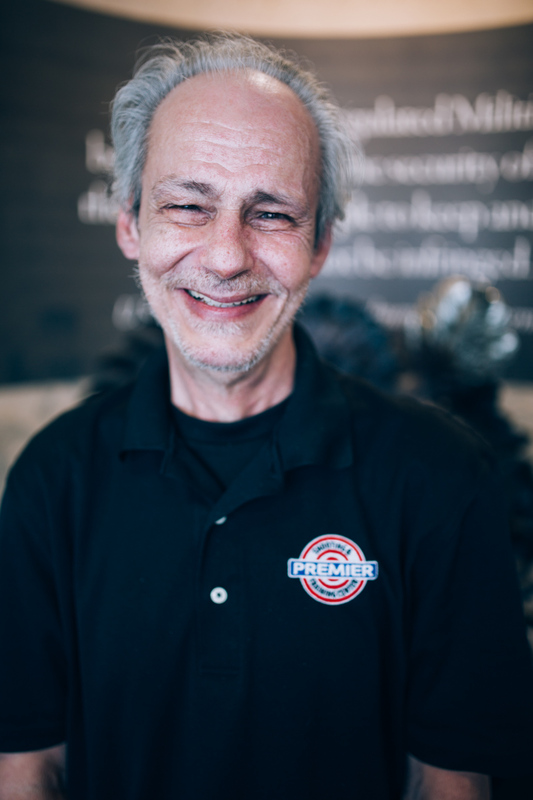 He has served as Adjunct Academy Instructor for Clark State Community College. 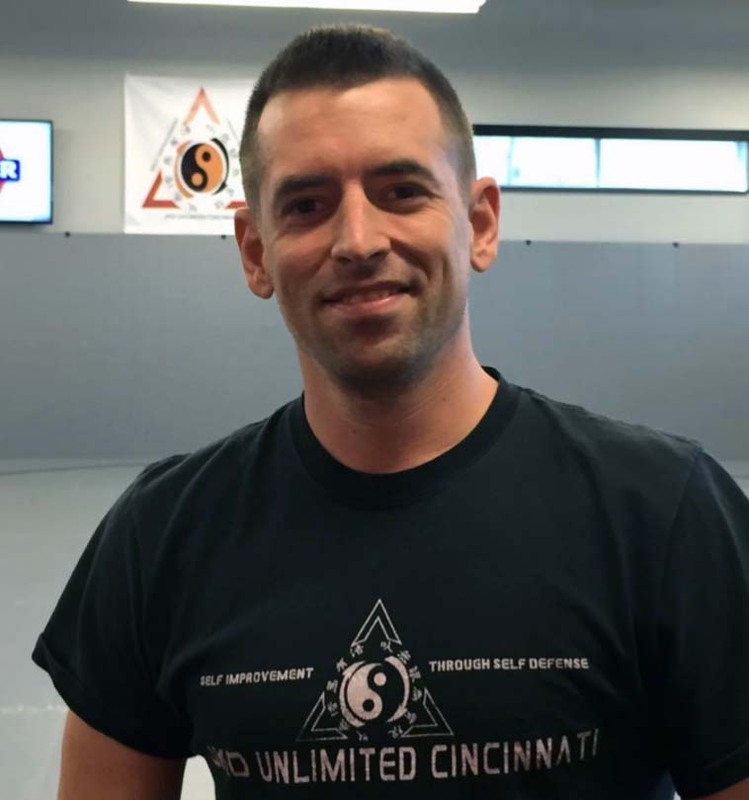 He is an assistant instructor for the Ohio Peace Officer Training Academy (OPOTA) SWAT program and Defensive Tactics programs. He has also been selected by the State of Ohio to develop Ohio’s Single Officer Response to Active Threat (SORAT) training and an Adjunct Instructor for the Ohio Tactical Officers Association (TOTA) SWAT, SORAT and live fire room entry. 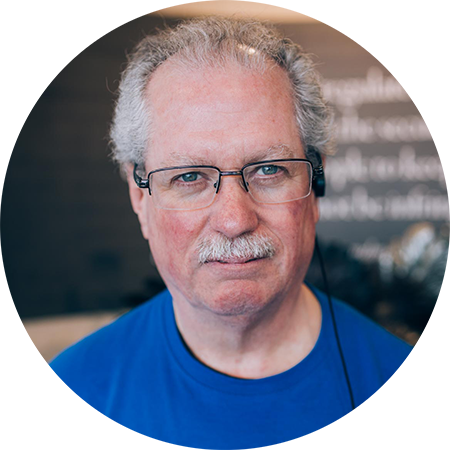 Jim’s military experience is as an US Army Infantryman where he served in Desert Shield and Desert Storm. He has earned the Combat Infantryman’s Badge, the Distinguished Service Award and the Medal of Valor. 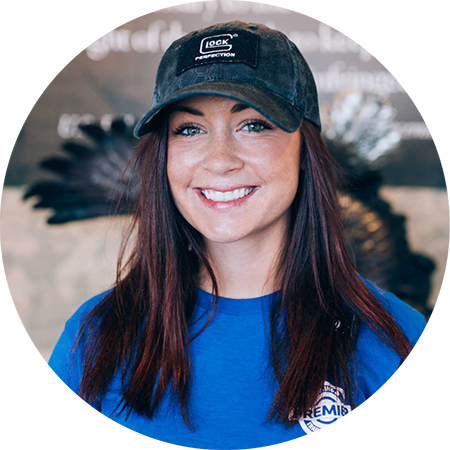 Amber has been an NRA Certified Pistol Instructor since 2013 and a TWAW Certified Instructor since 2016. Amber’s passion for assisting women to become active participants in their own safety led her to becoming involved with The Well Armed Woman (TWAW) Shooting Chapters where she has served as the leader of the North Cincinnati Chapter since 2013. 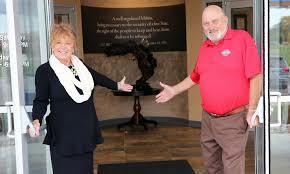 She also serves as the State Leader for TWAW Shooting Chapters in Ohio where she oversees 14 other chapters. 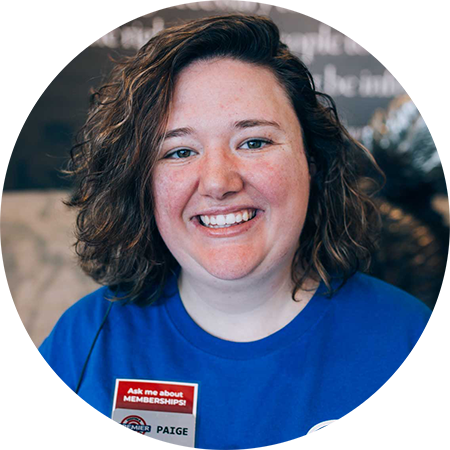 As a leader and instructor, Amber is dedicated to continually seeking quality training and has logged over 250 hours of training in the past four years. Her certifications include: NRA Certified Pistol Instructor, NRA Certified Personal Protection Inside the Home, Personal Protection Outside the Home Instructor, NRA Certified Chief Range Safety Officer and TWAW Certified Women’s Instructor. Robb currently serves as a Lieutenant with a large central Ohio fire department. He has served with that agency since 1995 as a firefighter, paramedic, rescue technician, HAZMAT technician/specialist, instructor and dive supervisor. 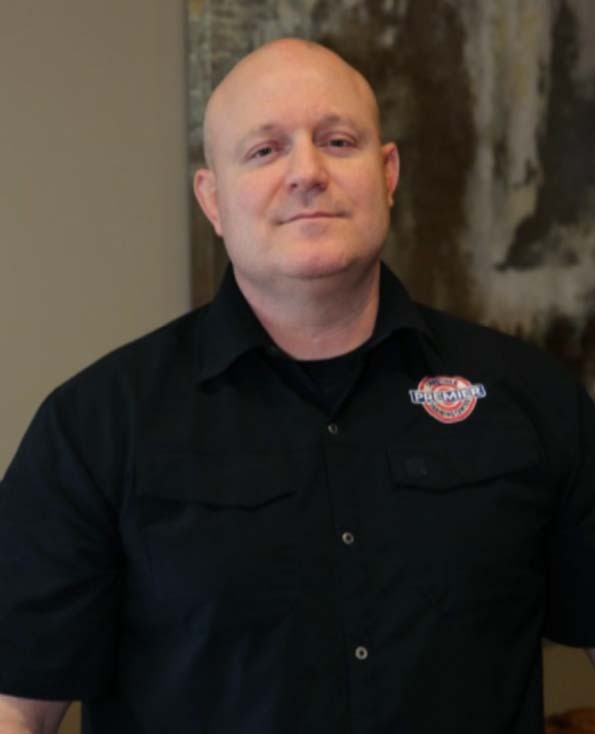 Additionally, Robb has obtained EMT-Tactical Certification and is one of the founding members of his agency’s TEMS team, where he has worked with and provided medical support to federal, state and local law enforcement agencies around central Ohio. Robb teaches all aspects of Tactical Medicine for 88 Tactical of Ohio. He is a High Threat Vehicle Engagement and High Threat CQB Instructor as well. He also serves as the TEMS Coordinator for the Ohio Tactical Officers Association. Ian is a graduate of Fairfield High School and is currently completing undergraduate studies at Miami University. 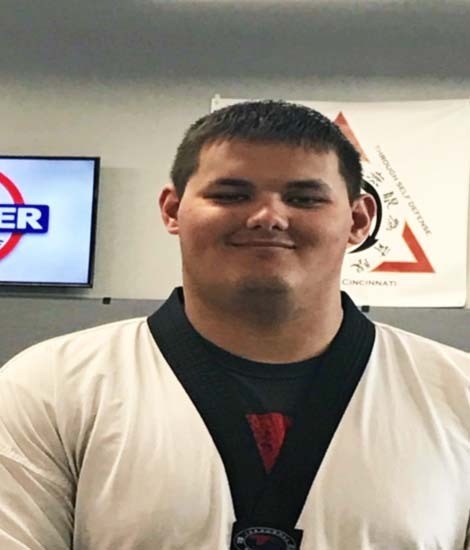 Ian has been studying the art of Taekwondo for 15 years at Hamilton Fairfield- Taekwondo Center under David Huffstutler. Ian has been an instructor of 8 years. Ian is a 4th Degree Black Belt in Taekwondo. Ian is a Brown Belt in Judo and studies under Virgil Lackey. He enjoys training children and adults. 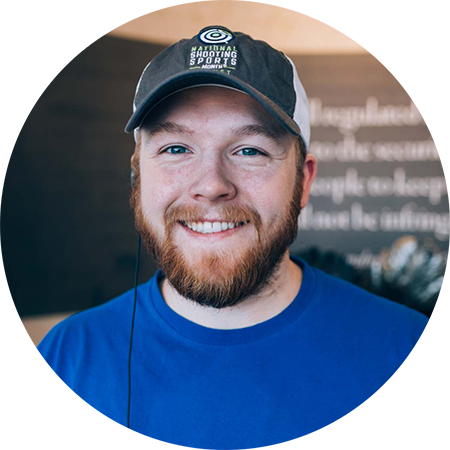 In today’s world where bullying is a growing issue, and self-confidence is low, Ian focuses on the real world scenarios and wants to help kids build the confidence and leadership they need. Ian makes learning Taekwondo a family fun environment and explains things in a way people will understand and enjoy.